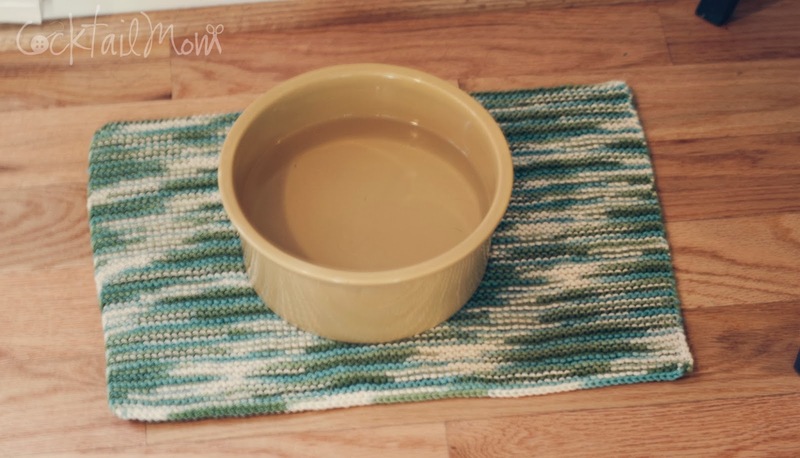 My dogs needed a mat under their water bowl and instead of buying an overpriced mat at the pet store I pulled out the crochet hook and got to work. Using cotton yarn I single crocheted a large rectangle, super easy. Easy to clean I simply throw it in the washer and dryer and the cotton is absorbent for spilled water from my dogs tongues. Do your dogs or cats need a fashionable mat under their food bowls?